Welcome to Clearjoy A Unique Home for Senior Citizens in Barbados. 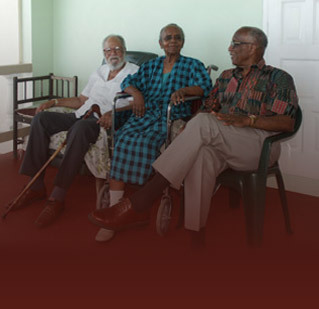 Licensed and regulated by the Barbados Ministry of Health, Clearjoy Home Care Limited is a family owned company founded in 1995. Located at the northern end of Barbados and overlooking the ocean, Clearjoy offers a quiet, panoramic view of flowing sugar cane fields, winding country roads and gentle rolling hills. A pleasant home-like atmosphere. The perfect remedy for peace of mind. Our continual elderly care training helps us develop a team of healthcare professionals to better meet your needs. Our comprehensive approach to elder care focuses on medical "best practices" and the personal physician's care plan. We believe that dedication must be promoted by management; supervisors must manage by example; promoting a caring, learning environment and acknowledging a job well done. ntegrity... In thought and deed. We do what we say we are going to do; our word is our bond.